Issue: Whether payment of Advance Tax and Tax Deducted at Source by an assessee would by itself tantamount to disclosure of income for the relevant assessment year and whether such income can be treated as undisclosed income for the purpose of application of Chapter XIVB of the Act? Facts: A search operation under Section 132 of the Act was carried out at the premises of another concern, viz. M/s A.R. Mercantile Private Limited. During the course of search, certain books and documents pertaining to the assessee i. e. M/s A.R. Enterprises, were seized. On scrutiny, the Assessing Officer found that though the assessee had taxable income for the assessment year 1995-96, no return of income had been filed till the date of search. Based on the material seized by virtue of the aforesaid search, the Assessing Officer was satisfied that the assessee had not disclosed their income pertaining to the assessment year 1995-96. Accordingly (without recording any reasons for his satisfaction), he initiated action under Section 158BD of the Act requiring the assessee to file their return of income. The assessee, after filing return for the block period (ten years preceding the previous year), which covered assessment years 1993-94 to 1995-96, pointed out that they had already filed returns for the assessment years 1993-94 and 1994-95. They objected to action initiated under Chapter XIVB of the Act on the ground that in relation to the assessment year 1995-96, Advance Tax had already been paid in three installments and, therefore, income for that period could not be deemed to be undisclosed. Rejecting the plea of the assessee, the Assessing Officer formed the opinion that the assessee had failed to file the return as on the date of search, and the seized documents did show income, which had not been or would not have been declared. Accordingly, he proceeded to compute total undisclosed income for the block period 1993-94 to 1995-96 (upto the date of search), treating the income returned by the assessee for the period 1995-96 as NIL, as stipulated in Section 158BB (1)(c) of the Act. Against the said order, the assessee preferred an appeal before the Tribunal. Accepting the stand of the assessee, the Tribunal allowed the appeal, and held that having paid the Advance Tax, the assessee had disclosed his income for the relevant assessment year. Discussion by Court: Condition precedent for invoking a block assessment is a search conducted under Section 132, or documents or assets requisitioned under Section 132-A. A valid search under Section 132 of the Act is a sine qua non for invoking block assessment proceedings under Chapter XIVB. Section 158BD permits the application of the provisions of this chapter only on the satisfaction of the assessing officer that the seized documents show undisclosed income of a person other than the person with respect to whom search was conducted or a requisition was made. It is trite law that such satisfaction must be recorded for the benefit of the assessee. Sections 158BD and 158BC, along with the rest of Chapter XIV-B, find application only in the event of discovery of “undisclosed income” of an assessee. Undisclosed income is defined by Section 158B as that income “which has not been or would not have been disclosed for the purposes of this Act”. The legislature has chosen to define “undisclosed income” in terms of income not disclosed, without providing any definition of “disclosure” of income in the first place. 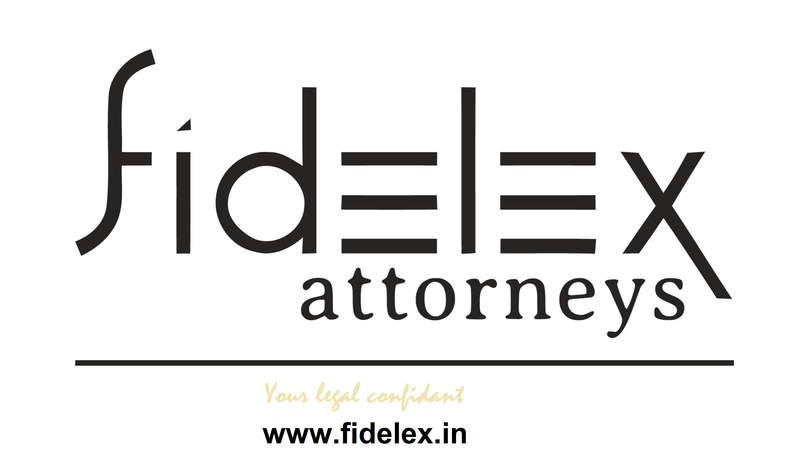 We are of the view that the only way of disclosing income, on the part of an assessee, is through filing of a return, as stipulated in the Act, and therefore an “undisclosed income” signifies income not stated in the return filed. concluding that an assessee would or would not have disclosed income, one is ipso facto making a statement with respect to whether or not the assessee possessed the intention to do the same. To gauge this, however, reliance must be placed on the surrounding facts and circumstances of the case. One such fact, as the assessee claims, is the payment of Advance Tax. However, in our opinion, the degree of its material significance depends on the time at which the search is conducted in relation to the due date for filing return. Depending on which side of the due date the search is conducted, material significance of payment of Advance Taxes vacillates in construing the intention of the assessee. If the search is conducted after the expiry of the due date for filing return, payment of Advance Tax is irrelevant in construing the intention of the assessee to disclose income. Such a situation would find place within the first category carved out by Section 158B of the Act i.e. where income has clearly not been disclosed. The possibility of the intention to disclose does not arise since, as held earlier, the opportunity of disclosure has lapsed i.e. through filing of return of income by the due date. If, on the other hand, search is conducted prior to the due date for filing return, the opportunity to disclose income or, in other words, to file return and disclose income still persists. In which case, payment of Advance Tax may be a material fact for construing whether an assessee intended to disclose. An assessee is entitled to make the legitimate claim that even though the search or the documents recovered, show an income earned by him, he has paid Advance Tax for the relevant assessment year and has an opportunity to declare the total income, in the return of income, which he would file by the due date. Hence, the fulcrum of such a decision is the due date for filing of return of income vis-à-vis date of search. Payment of Advance Tax may be a relevant factor in construing intention to disclose income or filing return as long as the assessee continues to have the opportunity to file return and disclose his income and not past the due date of filing return. Therefore, there can be no generic rule as to the significance of payment of Advance Tax in construing intention of disclosure of income. The same depends on the facts of the case, and hinges on the positioning of the search operations qua the due date for filing returns. Payment of Advance Tax and filing of return are functions of completely different notions of income i.e. estimated income and total income respectively. The payment of Advance Tax is based on an estimation of the total income that is chargeable to tax and not on the total income itself. The computation of “undisclosed income” for the purposes of Chapter XIVB has to be construed in terms of the “total income” received, accrued, arisen; or which is deemed to have been received, accrued or arisen in the previous year, and is computed according to the provisions of the Act. The ‘disclosure of income’ is the disclosure of the total income in a valid return under Section 139, subject to assessment and chargeable to tax under the provisions of the Act. It is important to bear in mind that total income is distinct from the estimated income, upon the basis of which, Advance Tax is paid by an assessee. Advance Tax is based on estimated income, and hence, it cannot result in the disclosure of the total income assessable and chargeable to tax. Payment of Advance Tax does not absolve an assessee from an obligation to file return disclosing total income for the relevant assessment year. Held: Since the Advance Tax payable by an assessee is an estimate of his “current income” for the relevant financial year, it is not the actual total income, to be disclosed in the return of income. To repeat, the vital distinction being that the “current income” is an estimation or approximation, which may not be accurate or final; whereas the “total income” is the exact income disclosed in a valid return, assessable by the Revenue. The fact that the “current income” is an estimation implies that it is not final and is subject to further adjustments in the form of additions or reductions, as the case may be, and would have to be succeeded by the disclosure of final and total income in a valid return. It will be a misconstruction of the law to construe the undisclosed income for purposes of Chapter XIVB as an “estimate” of the total income, which is assessable and chargeable to tax. Therefore, we are unable to accept that payment of Advance Tax based on “current income” involves the disclosure of “total income”, as defined in Section 2(45) of the Act, which has to be stated in the return of income. The same is evidenced in the scheme of Chapter XIVB, in particular. For the purposes of computation of undisclosed income under Chapter XIVB, an assessee can rebut the Assessing Officer’s finding of undisclosed income by showing that such income was disclosed in the return of income filed by him before the commencement of search or the requisition. In other words, when Section 158BB(3) is read with Section 158B(b), which defines undisclosed income, we reach the conclusion that for income to be considered as disclosed income, the same should have been disclosed in the return filed by the assessee before the search or requisition. In our opinion, on failure to file return of income by the due date under Section 139 of the Act, payment of Advance Tax per se cannot indicate the intention of an assessee to disclose his income. If we were to hold that the payment of Advance Tax reflects the intention of the assessee to disclose its income, it could result in a situation where the mandatory obligation of filing a return for disclosure of income under the provisions of the Act, would not be necessary. It will be open to an assessee to contend that payment of Advance Tax is tantamount to disclosure of income. Such a proposition would be contrary to the very purpose of filing of return, which ultimately leads to assessment of total income for the relevant assessment year. Any anomaly in the return entails serious consequences, which may not otherwise be attracted on estimation of income for the purpose of payment of Advance Tax. It would thus, be difficult to accept the plea that payment of Advance Tax is tantamount to the disclosure of income or that it indicates the intention of the assessee to disclose income. Since the tax to be deducted at source is also computed on the estimated income of an assessee for the relevant financial year, such deduction cannot result in the disclosure of the total income for the relevant assessment year. Subject to the monetary limit of the total income, every person is obligated to file his return of income even after tax is deducted at source. Hence, for the reasons stated in the preceding paragraphs, we are of the opinion that mere deduction of tax at source, also, does not amount to disclosure of income, nor does it indicate the intention to disclose income most definitely when the same is not disclosed in the returns filed for the concerned assessment year. In the instant case, after the search was conducted , it was found that for the assessment year 1995-96, the respondent-assessee had not filed its return of income by the due date. It is only when block assessment proceedings were initiated by the assessing officer, that the assessee filed its return for the said assessment year under Section 158BC of the Act. The assessee claimed, that since Advance Tax had been paid in three installments, it could not have been said that the income had not been disclosed or that there was no intention to disclose income. In our opinion, the fact that the assessee had not filed its return of income by the due date, the Assessing Officer was correct in assuming that the assessee would not have disclosed its total income. For all these reasons, the decision of the High Court cannot be sustained. This entry was posted in Pronouncements & Principles, Taxation and tagged Advance Tax, assessment, Tax Deducted at Source, taxable income. Bookmark the permalink.